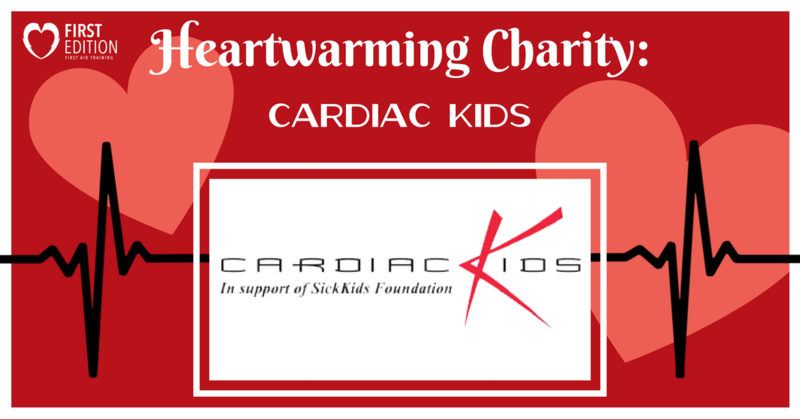 Heartwarming Charity – Cardiac Kids - First Edition First Aid Training Inc. It is a common misconception that heart failure and heart disease only happen to individuals of above a certain age or those who have poor health. Unfortunately, this is a myth. Heart problems can happen to anyone of any age, gender, and standing of health. That means children too. No one wants to see a child suffer from heart failure, and our heartwarming charity of the month is working to help these little hearts. Take a look at this month’s feature charity, Cardiac Kids, and learn how they are making a difference! 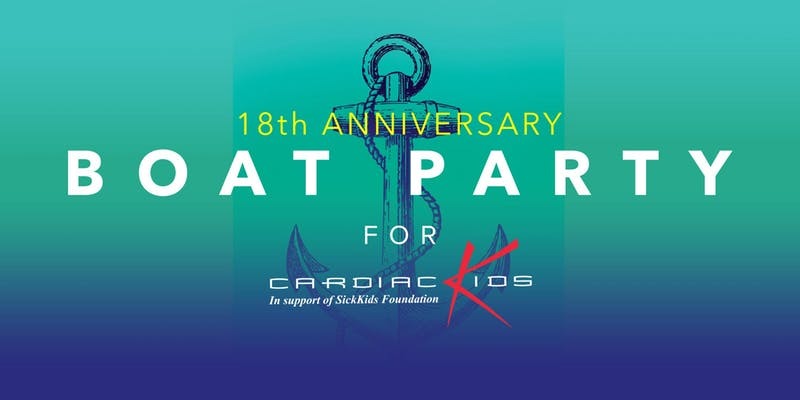 Established in 2000, Cardiac Kids continues to reach out to the community and collect donations to be put towards bettering these children’s health and wellness. All funds are put towards improving the emotional health of the children and families, providing scholarships and funding to pediatric cardiology nursing programs, and are put towards the cardiology ward at the Hospital for Sick Children in Toronto. The emotional and mental stress is enormous for the children and the families going through this disease. In addition to raising funds, the Cardiac Kids foundation is providing information and hosting events to bring awareness to the heart and support these children through their journey. What is it: This 18th anniversary Boat Party is the perfect opportunity to come out and enjoy the waters of Toronto while snacking on delicious appetizers, taking part of the raffle to win some amazing prizes, join in some dancing, and see the Toronto skyline. Tickets are $40 online or $50 at the door, cash will be required for cash bar drinks. What is it: Bike 2 Play is an annual fundraiser that works to raise funds for Cardiac Kids and the Sick Kids foundation. The event is searching for 50 bikers who will ride from Toronto to Muskoka and who will help to work towards a goal of $75,000 that will go towards research and providing awareness of those children suffering from heart disease and defects. Raising funds to help those families and young children suffering from CHD. With continuous research, more assistance can be provided to these children and future children with heart diseases and defects. It all comes back to the heart, and that is why we support the Cardiac Kids foundation for taking action to help those children in need. Check out their website for more information and current updates to see how you can help these children too!